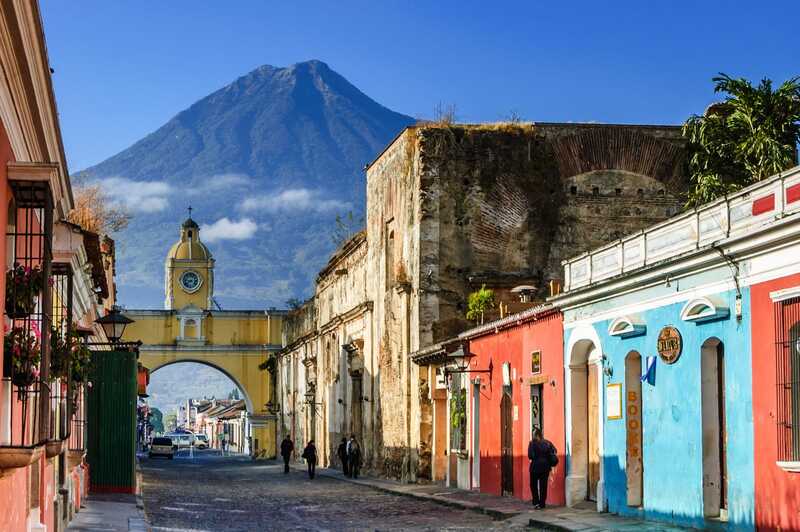 In the summer between my sophomore and junior year of college (undergraduate), I participated in a medical volunteering program for 2 weeks in Antigua, Guatemala. As a pre-med student, I knew I wanted to do something during my summer that involved medicine and figured volunteering in a hospital or clinic would be my best bet. Unfortunately because I had a mostly full time job, I was unable to secure any type of volunteering program locally since they all required a certain amount of hours that I would not be able to complete before returning to my university in the fall. I then decided to look online at volunteering abroad, and found a myriad of programs that fit my time constraints perfectly. I honestly did not do too much research and just clicked on the first organization I found that had a solid amount of positive reviews and wasn’t too expensive. 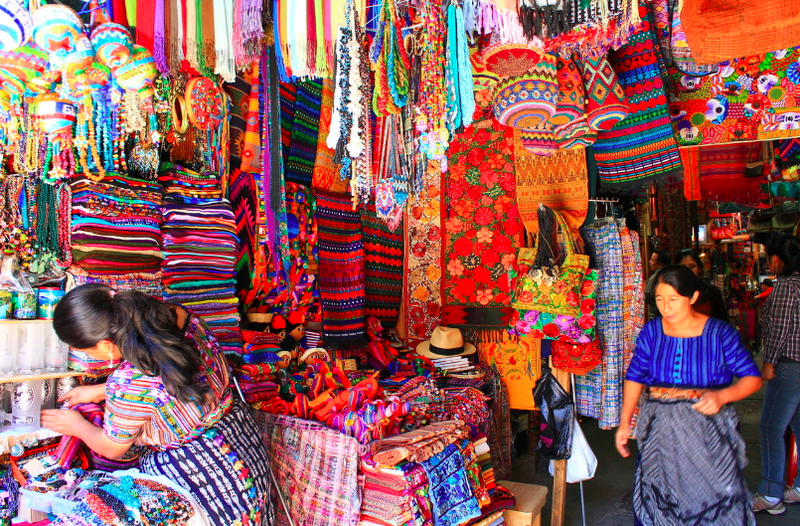 Looking at the cheapest options, I saw that in Latin America they offered an affordable medical program in Guatemala. While scrolling through the program description, the phrases “gain hands on experience” and “provide check-ups and basic medical care” piqued my interest as the idea of actually getting to perform medical procedures sounded incredibly appealing to myself as a student interested in a career in medicine. I imaged working in a hospital with doctors and nurses and getting the opportunity to experience medicine directly. The program description made it seem that these “poor” communities needed any help they could get, so I figured that I could kill two birds with one stone-help this underserved country while also gaining medical experience. Even though there were red flags consistently throughout the program description-the program oozed “voluntourism” and provided very brief and limited information on what actually would take place during participation- I wasn’t suspicious at all because I didn’t expect anything that involved volunteering to be problematic. After signing up, there was a very brief pre-departure guide I had to complete before embarking on my trip. The guide was just a general guide and mostly focused on the logistics of getting there (ie. visas, packing list, etc.). There was a short list on my responsibilities, but it didn’t really mention anything about ethics. There were also 2 optional pre-departure training modules that were more informative on ethics, but were brief and took less than 30 minutes to complete. I didn’t really feel that prepared for my program, but figured I would get more instruction and guidance once I arrived. 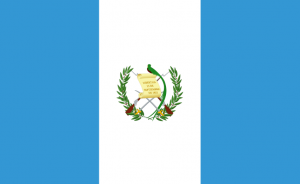 Once I finally made it to Guatemala, I started to see problems and holes within the program. Before starting my rotation, I met with the medical coordinator for the program to have orientation. The orientation was pretty short and consisted of a powerpoint on the kind of care we could provide. After telling him I had had no prior experience in medicine, he told me that I would act somewhat like a nurse, taking weight, height, blood pressure, heart rate and temperature, making beds, cleaning, talking with patients, preparing materials and sterilizing equipment. Even though I told him I didn’t know how to take blood pressure or heart rate, he assured me the other visiting volunteers at the clinic would teach me. This orientation started to leave me a little hesitant about the program since he asked us to provide medical care, but expected other volunteers to teach us instead of himself as a doctor showing us. After arriving to the clinic where I would be volunteering at, I was sent to work at the nurse’s station. At my rotation, there were 2 other volunteers placed there as well who had been there for about 4 weeks. One was applying to medical schools in the United States and the other was a 3rd year medical student at a university in Ireland. Luckily, one of them spoke spanish fairly well and was able to translate for us when we interacted with both the nurses and patients. After the other volunteers briefly taught me how to perform the basic nurses duties (blood pressure, height, weight, and temperature), I was mostly on my own. It was definitely very nerve wracking having these duties when I’d never done them before and was even more difficult considering I spoke very little of the language. I was especially confused on taking blood pressure and while I immediately should have said that I wasn’t sure what I was doing, I was embarrassed to tell the other volunteers since they insisted it was an easy task and that I’d get the hang of it eventually. This is definitely something I wish I could’ve gone back to and done differently because there is a large possibility that patients’ information was recorded incorrectly due to my lack of experience. This was when I started to realize that gaining hands on experience wasn’t what I imagined at all. In my head I thought that everything would go smoothly and I would be ready to help the professionals in anyway possible. In reality though, my lack of experience became even more apparent to myself and I started to become suspicious that the “help” I was providing wasn’t all too helpful. While my lack of training may have led to incorrect patient information being taken down, there were other pre-med volunteers who were given duties that were even further beyond their scope of understanding and led to medical complications for patients. Since there were other volunteers working at my clinic, they cautioned me right away that I shouldn’t help with procedures such as giving stitches or injections since we didn’t have the training for that (I think they figured taking down patient information was harmless enough that my inexperience wouldn’t be an issue). I was very thankful for that advice since I was already feeling uncomfortable with the duties I had, I couldn’t even imagine how stressed I would have been if I had to perform anything more advanced. However, other volunteers weren’t as reserved. I remember this one other volunteer bragging to me about how the doctor had allowed him to give injections to a patient. He said that he didn’t really know what he was doing and he ended up piercing her 5 times because he kept doing it wrong. Another volunteer told me she helped stitch a patient up and said she was concerned that her stitches weren’t done right since she had never done it before. It was at this point that I really started to question the program we were on. Why weren’t there more regulations enforced by the program? Why were the duties of the volunteers so ambiguous? Why was I starting to feel so uncomfortable with what I was doing and why weren’t the other volunteers having the same questions I was? Besides just the volunteer aspect of the program, there were a lot of problems with the program as a whole, in particular when it came to safety. We were warned to never travel by ourselves at night. In keeping with those rules, two volunteers on my program walked home together one night after hanging out downtown. On their way home, someone pulled a knife on them and took all their belongings. The volunteers were traumatized and felt very unsafe about what had happened and contacted the program to let them know of the situation. The program responded incredibly insensitively and told them it was their fault for walking home late at night and didn’t provide any support for the two. Their response to an emergency situation such as this really made me concerned about the legitimacy of this program. They had told us it was okay to be out at night as long as we weren’t alone, yet blamed the volunteers for what happened instead of offering emotional support and/or more information on how we could stay safer while out at night. I left my program feeling differently than I had expected. While I loved the country I was staying in, I felt disconnected from what I was actually doing. I felt uneasy about what myself and other volunteers had done without any medical experience and questioned my helpfulness. My experience showcases how easy it is for medical volunteering programs to be problematic and harmful for the communities they’re situated in when there is not an emphasis on global health ethics. Note from CFHI: Many thanks to Zoe for sharing her story. If you have questions about ethical engagement in global health experiences please visit the publications page on the CFHI website (https://www.cfhi.org/publications) or listen to a recent webinar (https://www.cfhi.org/cfhi-webinars). We are also always available to answer questions about ethical global health engagement- contact us at students@cfhi.org. This entry was posted in CFHI Model, Cultural Humility, Ethics, Global Health, Global Health Education, medical electives, Public Health, Rotations, Student Spotlight, Volunteering internationally and tagged child family health international, Global Health, global health ethics, Guatemala, international volunteer, pre-health students on July 6, 2018 by Robin Young. 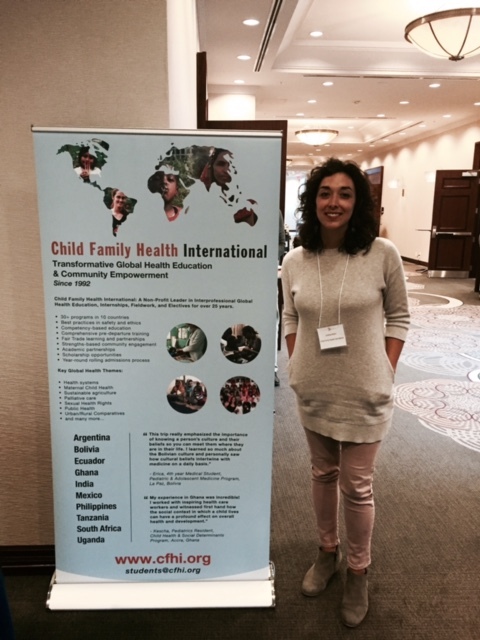 CFHI was proud to send their Program Coordinator, Lyndsey Brahm, to the 2016 PEGASUS Conference that took place in Toronto over May 13th to 15th. PEGASUS is an acronym derived from the conference’s three main themes of peace, global health and sustainability. Leaders, change-makers, professionals and students from multiple disciplines convened to share their expertise in research, education, field experiences, advocacy and policy in order to address unacceptable levels of poor health nationally and internationally. CFHI hosted a workshop on asset-based community development (ABCD) and introduced our vision into how recognizing assets within a community as opposed to what is lacking can prove to be a successful global engagement approach and can lead to communities feeling more empowered. CFHI has numerous partnerships throughout ten different countries and prides itself on fostering sustainable relationships and not being “fair weather friends.” We want the communities we work with to take ownership of their own development and to be enthusiastic about sharing their expertise with our global health scholars who come seeking new perspectives in health and medicine, outside of their own system. A buzz was in the air as this thought-stimulating conference carried on throughout the weekend. One presentation that stood out from our perspective belonged to Matt DeCamp, Assistant Professor at the Johns Hopkins Berman Institute of Bioethics and in the Johns Hopkins Division of General Internal Medicine. He spoke on the subject of global health ethics, encouraging students and trainees to go abroad for longer, and the development of appropriate pre-departure materials. He shared his experience about a global health trip he undertook as a medical student at Duke University, where he faced challenges cultural differences and was exposed to human rights. He remembers feeling unequipped and under prepared to deal with such circumstances. He now contributes to the development of adequate pre-departure materials for those seeking an international health experience and runs focus groups for returnees at Johns Hopkins University. CFHI recently gave a webinar on this very subject. Which is available by clicking here. CFHI was excited to be a sponsor for this year’s PEGASUS conference.. It is a valuable space for CFHI and others within the field to challenge one another and generate new ideas, actions and policies to improve the health and well being of the world’s citizens, whether on a small or large scale. The commitment is fierce. This entry was posted in Global Health, Global Health Education and tagged cfhi, global health ethics, PEGASUS, pre-departure training on June 8, 2016 by Keaton Andreas. 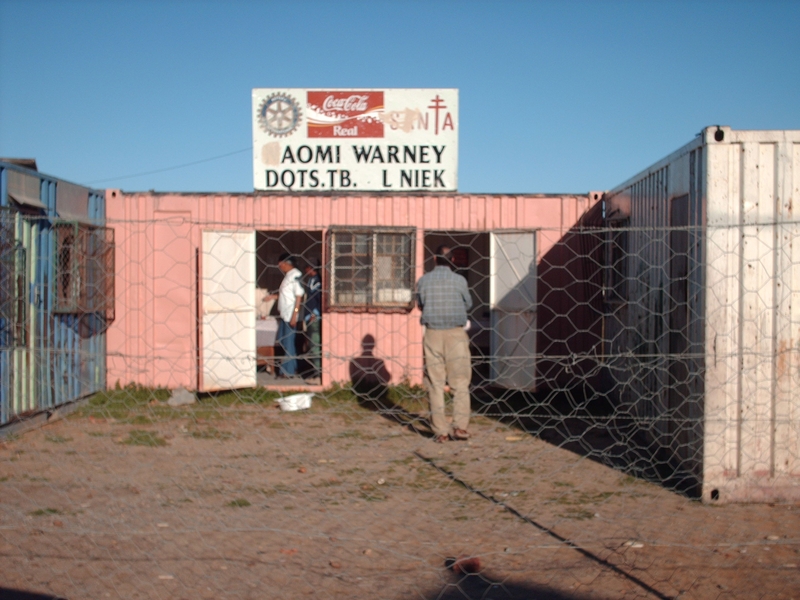 In October of 2009, fresh from a visit to South Africa, I wrote an entry to this Blog called The Roots in Grassroots –Ukwanda Rural Health Program. I was so impressed with the intentional efforts of the University of Stellenbosch to successfully bring primary health care to Avian Park, an underserved community in the rural areas well north of Cape Town. CFHI’s work has always intentionally been at the community level so this was the first time that we were helping to fund a project of a university. On paper, it looked like a serious effort to truly do the relationship building and ground work necessary to successfully establish the first primary healthcare facility for this poor but growing community. Our contacts on the ground were also very enthusiastic about this initiative and so CFHI chose to help support it. What I saw in 2009 was an idea beginning to take form. What had looked so possible on paper, was proving to be a significant challenge to implement. I saw a very run down set of metal freight containers being used as a makeshift TB clinic. I saw some initial linkages with the community but everything was still new and tenuous. 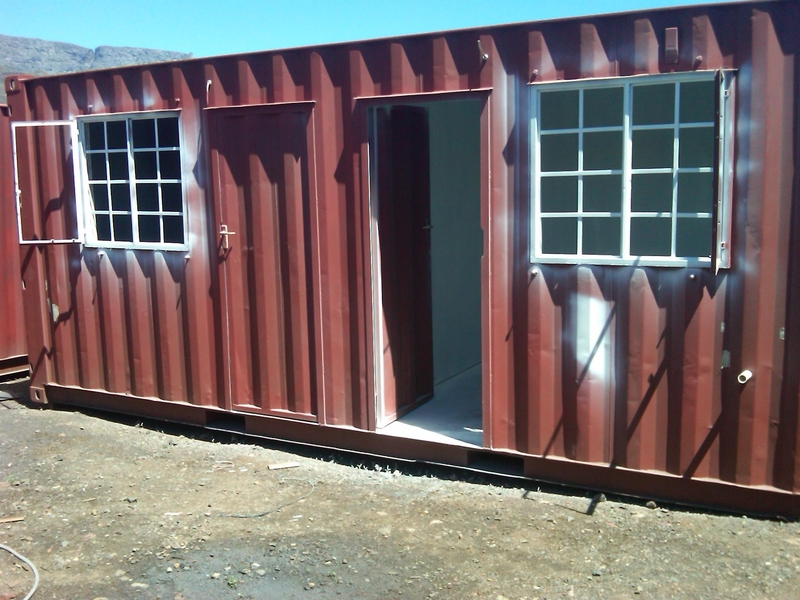 CFHI’s commitment was funding that would be used to renovate the freight containers to make them fully functional. The project was already well beyond its targeted schedule and I could see during my visit that the freight containers were not in good enough condition to be renovated but would need to be replaced. 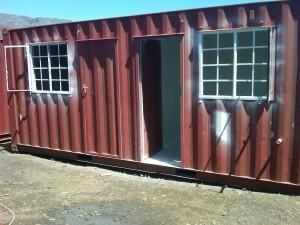 Stellenbosch was able to get some additional funding as well as some in-kind help to make the new containers possible. Concerns about acquiring the land where the new clinic would be, the full support of the local political and community leaders, and other logistical details were still not resolved. Success felt illusive. Yet, in the face of the many challenges, the Ukwanda team from Stellenbosch chose to dig in deeper, engaging the community, dealing with their concerns and creatively finding the resources to deal with many unforeseen issues that arose. At a stage like this, I am, quite frankly, used to seeing a big university either pull back its funding and sunset the project, or do an end run around the community and find a maneuver that would give them the legal security they need to move forward even if it does not lead to community support. Instead of using the university’s paid legal teams to get it out of a jam, the University of Stellenbosch chose to involve its School of Law and get faculty and students from this arm of the university to research creative solutions. This week, I paid another visit to Avian Park and I met with Prof. Hoffie Conradie, also a medical doctor whose blood, sweat, and tears have flowed into this clinic for years now. What I saw this time was the brand new set of freight containers fully set up, painted, and functioning at about 80% of the planned use. In addition to the original TB clinic, there is now an ARV clinic and a team of home-based care workers based out of the clinic. 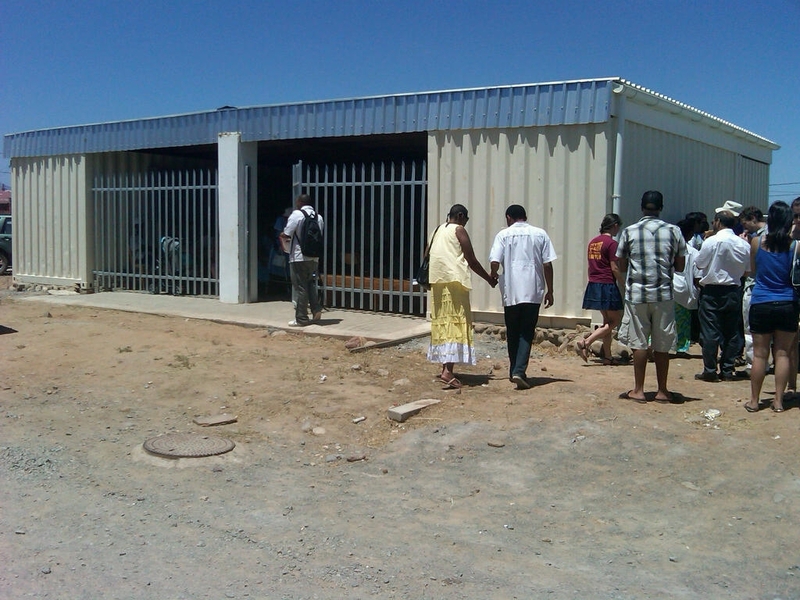 Weekly physician clinic hours by Dr. Conradie are well attended and welcomed by the community. Still to come will be family planning and other health education initiatives. While a water line has made it to the clinic, electricity is still lacking but this is in the works and seen only as a minor inconvenience. 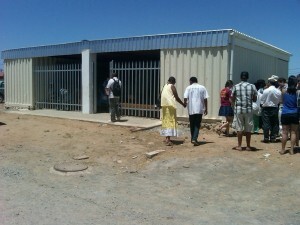 The clinic was bustling with activity and clearly has become a focal point of the community. Even more impressive was that I just happened to arrive as a team from the University Of Stellenbosch School Of Sociology was just concluding an intensive study of Avian Park. 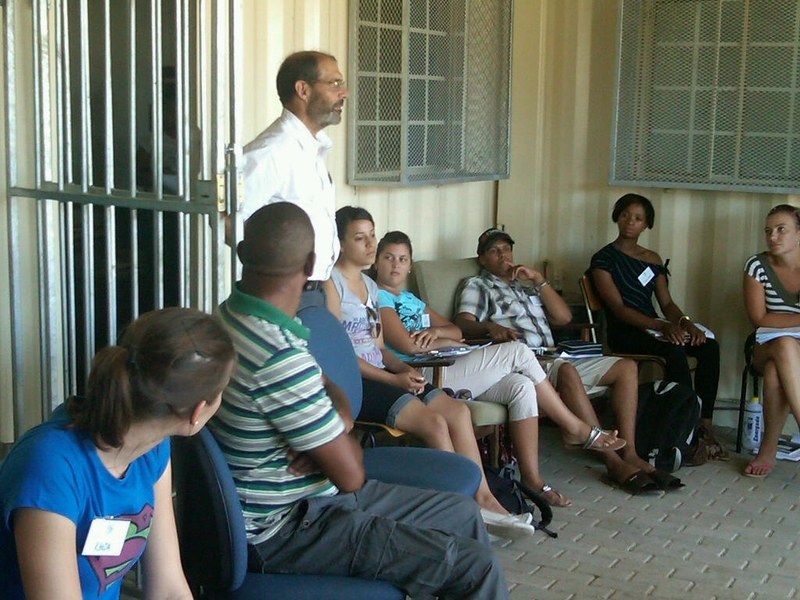 A social anthropology professor and his students had made many visits and conducted house to house interviews. The students made use of volunteers from the community, mostly young people who assisted the students in navigating the unpaved maze of roads and any unfamiliar customs or local norms. The result is a significant body of primary research data that will now be analyzed and synthesized to produce a profile of the community that will not only help the Medical School in its work in the community but also all the other arms of the university; agriculture, theology, social work, as they also look to begin projects in Avian Park. Meeting later with Project Coordinator, Lindsay Meyer, in Cape Town, she attributed the tremendous cross pollination of efforts from Stellenbosch at Avian Park to the leadership of the university. The Rector of the University of Stellenbosch has motivated and guided his faculty across all schools to develop strategic plans that have goals that are connected to the Millennium Development Goals of the United Nations. 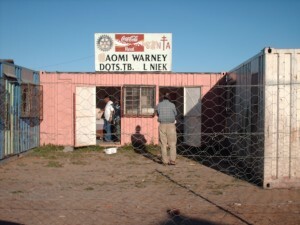 All schools and departments are also required to have initiatives that are benefiting the community in some way. With this kind of guidance, a university that often has so many disparate activities can instead become like an orchestra, each producing their own sound but from the same sheet of music. And so it was in Avian Park. The sociology students and the medical students were each doing their own endeavors but in a way that appeared to the community and to this outsider as a coordinated effort that will build on each other. Universities can easily become a place of many silos of information growing ever higher and rarely moving horizontally in a way that combines data for richer analysis and in a way that can most effectively benefit communities. How refreshing it is to see what can happen when the full resources of a university are coordinated and focused to help a community. Our hats are off to the University of Stellenbosch and its Ukwanda Rural Health Project and the Avian Park Rural Clinic for their dedication and commitment to community-based work done well! This entry was posted in Cultural Humility, Ethics, Global Health and tagged Global Health, global health ethics, Local Experts, South Africa on January 30, 2011 by Jessica Evert, MD. 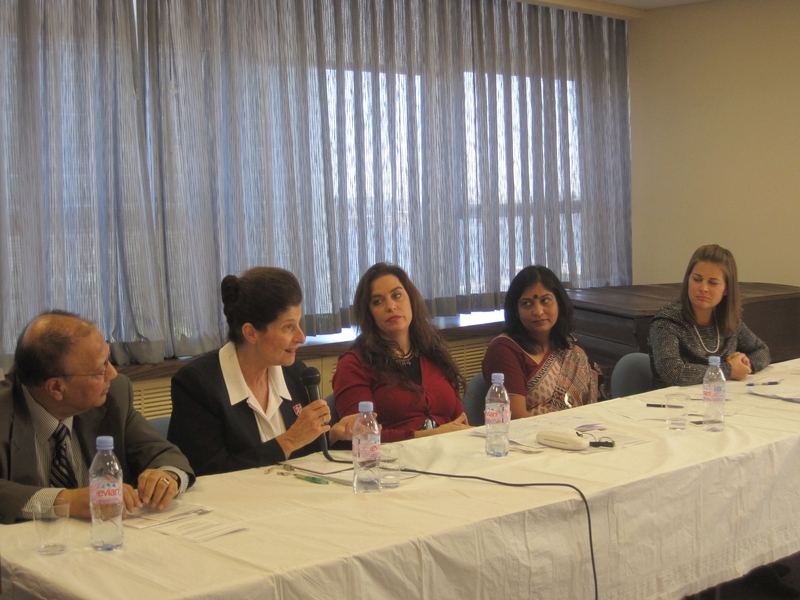 Earlier this month on September 15, 2010, CFHI convened a Forum on the Empowerment of Women, at the United Nations in New York. The purpose of the event was to increase awareness of the United Nations Millennium Development Goal #3, to Promote Gender Equality and Empower Women. Ambassador Anwarul K. Chowdhury, former Under-Secretary General and High Representative for the Least Developed Countries, moderated a panel of women representing a cross section of leadership roles. As world leaders met this past week to discuss the MDGs, this Forum, held a week in advance, provided an opportunity for the voices of women from everyday life t be heard. Co-sponsoring NGOs included the NGO Committee on Spirituality, Values and Global Concerns, The International Center for Good Business, The Institute of International Social Development, and The Spiritual United Nations. 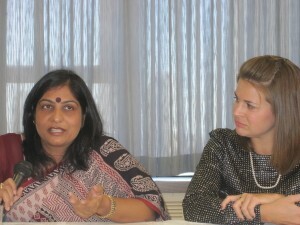 Panelists included M. Christine MacMillan, Commissioner, Director of the International Social Justice Commission of the Salvation Army, Monika Mitchell, Executive Director, Good Business International, Hema Pandey, India Coordinator, Child Family Health International, and Jessica Evert, MD, Medical Director, Child Family Health International. The Title of the Forum was Successes and Challenges of Women in Leadership Roles in Traditionally Male-Dominated Environments. As women are increasingly taking on leadership roles, it becomes important for them to share their experience. The panelists spoke with examples from their own lives and the audience was invited to share their comments and life experience as well. We were especially happy to welcome our India Coordinator, Ms. Hema Pandey who was visiting from New Delhi. Hema is responsible for coordinating six CFHI Global Health Immersion Programs taking place in Mumbai, Pune, Delhi, Dehradun, and Rishikesh, as well as multiple ongoing community health projects. In the course of this work, she manages a group of five local CFHI Medical Directors, all of whom are men. Ms. Pandey spoke of using a cooperative style of working that invites the participation of those she works with thus creating a joint feeling of ownership. This being her first trip outside of India, Ms Pandey said she was surprised to find that women in the United States also felt that they were still struggling to achieve gender equality. As the Forum drew to a close, there was a common expression of the panelists and the audience that this Forum should become and annual event until 2015, the target year for the Millennium Development Goals. This entry was posted in Cultural Humility, Ethics, Local Experts and tagged cfhi, global health ethics, MDGs, Millennium Development Goals, new delhi, United Nations on September 25, 2010 by Jessica Evert, MD. The opening plenary of CUGH’s Second Annual Meeting (Consortium of Universities in Global Health) was marked by discussion of the great successes and challenges in global health. A live feed from TEDxChange, a non-profit dedicated to the exploring ideas and giving space to innovative thinkers, opened the morning with inspirational data presented by Hans Rosling and commentary by Melinda Gates. The conclusion by Rosling was that there is no “developing” and “developed” world; he cited the fact that countries with some of the best indicators of child survival and birthrate are still considered “developing.” He also gave a very positive report on the progress toward MDGs, specifically reduction of poverty. He emphasized that we cannot consider Africa to be homogeneous, whereas, places such as the Congo have been stagnant on indicators such as child mortality, countries like Kenya have made great strides. Interestingly, Rosling overlaid a graph of the progress by Sweden over the last 200 years, which demonstrated their slow progress in the area of child mortality (400/1000 in 1800) in the first 100 of those years. This was powerful to give a long-term view of the progress that has only been started in the context of the last 10 years of the MDG campaign. Melinda Gates utilized the model of Coca-Cola in their ability to penetrate far-reaching communities in the world (over 1.5 billion cokes are consumed a day) and promote their product in a positive light (a current marketing slogan being “Open Happiness”). One of the components of this success is the appreciation of and capitalization on local entrepreneurs. I liken this to the importance of local health professionals in global health goals and programs. Gates pointed out that our health improvement or preservation messages are often in a negative light- ‘avoid disease,’ ‘combat germs,’ ‘control infection.’ Rather, she purports, that if we utilize positive messages that draw on popular culture methods (hip hop, fashion, celebrations) it will be more effective. She encourages us to “look at what people want” and market health interventions to those aspirations. Subsequently a panel of speakers made comments about global health and the role of universities. A common theme is the role of “collaboration” and “developing relationships.” They universally endorsed the importance of international experiences for trainees. During the Q & A session I brought to the attention of the audience and panel that US medical schools, almost universally, do not require global health education for medical students. In addition, global health is not a topic on the medical school boards. In my opinion, a catalyst for the adoption of global health topics as part of the required medical school curriculum in the US is the inclusion of global health topics in the medical school board exams. We can draw on the experience of preventive medicine/public health, which were recent categorical additions to the medical school boards. This proposition begs a question, which is not an easy one, and was put to me by King Holmes after the session, “what do we add?” Yes, global health is a broad field, and yes, narrowing that down to curriculum that is digestible by US medical schools is a challenge. However, there are multiple organizations and individuals who are grappling with these questions- including the Global Health Education Consortium (GHEC). To let the broad scope of ‘global health’ be our barrier or excuse for not integrating it into US medical school education is to succumb to the most basic cop-out that deters many from working toward the most basic, yet overwhelming, challenges to health at home and abroad- including equity, access, compliance, and the like. I encourage the global health education community, and the larger global health university movement, which is embodied by CUGH, to look in their own backyards, medical/nursing/allied health schools and wider university programs to embrace global health curriculum in a real way. In many US medical schools, students are begging for global health education, exposure, and experiences. To adopt required global health topics into the medical school curriculums is a basic step which these universities have control over. A manageable curriculum could include: basic lessons on the global burden of disease (including infectious disease, mental health, maternal/child mortality, and chronic disease), overview of global health initiatives (such as MDGs, PEPFAR, Global Fund), and discussions of inequities (as evidenced by the 10/90 gap, health disparities). The next question is who teaches these issues- at many of the larger, well-funded universities, experts may be internal and easily accessible. However, there is a challenge at many, even large, medical schools, who lack faculty with expertise in global health. This is where the role of non-profits and global health educational organizations is essential. Schools can utilize resources such as the global health education modules created by Global Health Education Consortium which bring experts to the classroom through PowerPoint presentations with evaluation. Also, many communities have non-profits or church-based organizations who are active globally. Engaging in global health activities does not necessarily correlate with the ability to teach basic global health education, however, we must start somewhere.Unlike cardiology, endocrinology, and other themes taught in medical school, global health is not a cookie-cutter experience or topic. However, if CUGH and organizations, such as the AAMC, require US medical schools to teach basic global health lessons to all medical students, and elevate the importance of these topics, medical schools will be given a tangible requirement that they can respond to with curriculum and faculty development. Finally, I was struck by the university leaders’ agreement that ‘relationship building’ and ‘collaboration’ are necessary for any global health endeavor to be successful. Our medical schools have great challenges in building these relationships because of unreliable funding streams, focus on outcomes and accomplishments (often at the expense of an appreciation of process and community involvement), and staff/faculty turnover. There is also an inflexibility that is prominent in medical schools and institutions where state department advisories can lead to the complete withdrawal from a country, leaving partners to consider us ‘fair weather friends,’ and there is a tendency for wanting partnerships to fit into a programmatic mold. I hope the university community will see the benefit of partnerships with non-profit organizations, such as CFHI, who have the flexibility, continuity of staff/mission, and reliable funding streams to help facilitate international experiences for trainees in a fashion that is ethically, fiscally, and culturally sound. CUGH is making their debut in many ways over the coming couple of days. I hope that their ability to leverage universities in the US will lead to increased global health exposure of our health science trainees, so that we are truly training the globally minded professionals that the future requires. In addition, I hope that momentum at the university level recognizes the role of non-governmental (and often not primarily academic) organizations who are setting standards in community engagement and training future health care providers in a way that elevates international communities as the ‘experts’ of their own environment that they are. This entry was posted in Global Health Education and tagged CUGH, Global Health Education, global health ethics, international health on September 20, 2010 by Jessica Evert, MD. 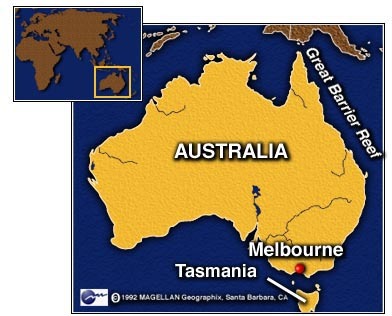 CFHI is very happy to be at the Global Health Conference in Hobart, Tasmania that is being put on by the Australian Medical Students’ Association (AMSA). The conference running 1-4 July has a full academic program with impressive topics and excellent speakers. The entire conference is organized by and for students and the level of professionalism is truly outstanding. CFHI is very happy to be an NGO sponsor here and we find the interest and engagement of the students to be at a very high level. A CFHI alum from Perth, Samantha Mulholland (2009, Pediatric Health, La Paz), has been present and giving her first-hand descriptions of her CFHI experience. 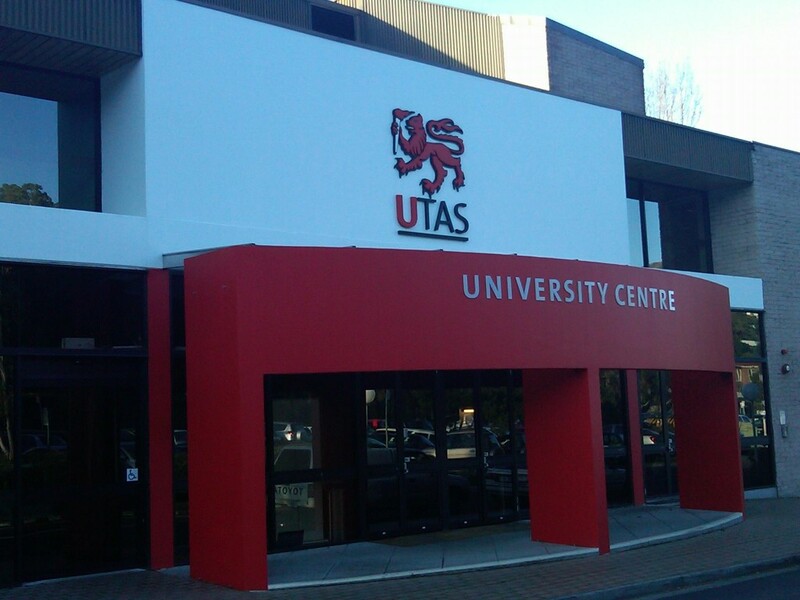 The University of Tasmania in Hobart is the site for the conference as some 500 students gather from across Australia and New Zealand, and even from Asia and Africa. Indeed students all over the world have a growing interest in Global Health. What is refreshing here is that so many of them are deeply informed on world issues, social determinants of health and many other areas. 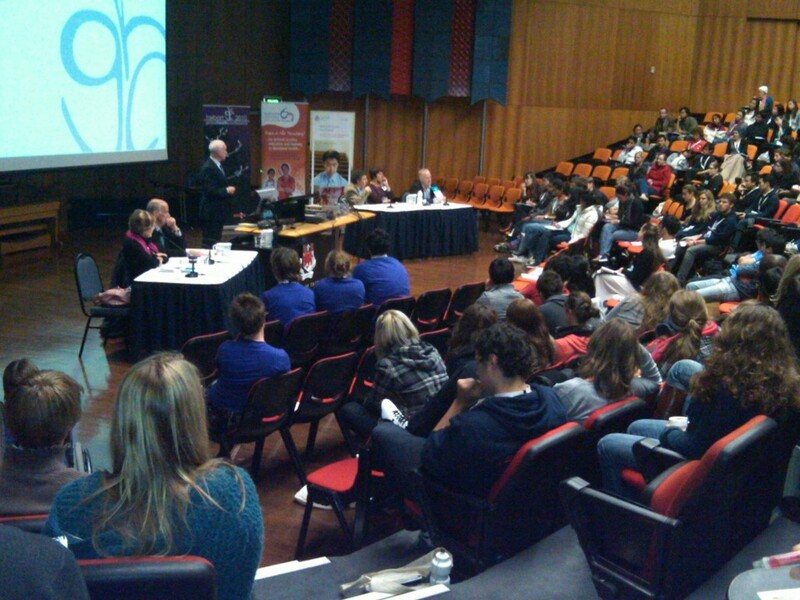 Panels of leading experts, student questions and discussions have all been engaging and enlightening. This entry was posted in Ethics, Global Health, Global Health Education, Global Health Elective, medical electives, Volunteering internationally and tagged au, Australia, cfhi, climate change, clinical rotations, Cultural Humility, Global Health Education, global health ethics, Global Health Immersion Programs, health workforce, international health, international volunteer, Local Experts, medical electives, nursing, primary health care, professionalism, Tasmania, UTAS on July 3, 2010 by Jessica Evert, MD. outpouring of volunteers to give assistance has amplified the Grey Areas of coordinating and managing international aid. The questions of culture, ethics, passion, compassion, and the realities of unexpected complexities are raised in her moving, first-hand account. Dr. Evaleen Jones, CFHI’s Founder and President, asked Kim if we could share her writings through this Blog. Kim gives us her experience alongside her on-the-spot reflections which are informed by her years of cross-cultural work in some very challenging situations. We are grateful to Kim for her permission to present her observations and thoughts here. Unfinished and raw, they give us an unvarnished view of reality with no easy answers –much as the real situations in Haiti, and elsewhere in the world. You are welcome to click on the “Read More” button to leave a comment. Here in Haiti, 5 months after the devastation of a 7.1 earthquake, volunteers are coming in droves. I am one of them. By the end of my stay, I will have been here 7 weeks. Most of my fellow volunteers come for one week or two if they’re lucky. Professionally, the greatest number are doctors, nurses, emergency room specialists, pediatric and wound care specialists, prosthetists and physical therapists. The majority have never been to a developing country or to Haiti before they arrive. They come with the expectation of being welcomed for their concern and service, everyone paying their own expenses and hoping their week of selflessness will do some lasting good. Most leave, probably feeling that their mission was accomplished, even if in some small isolated way. This morning, at the hospital I’m working in, there are 20 American doctors, nurses and other hopeful people wanting to do something useful. They’re surprised when they realize how different the system is here, how charts and notes and procedures that are standard in the US are hardly used here. They are surprised that the Haitian nurses don’t speak English or seem happy to share their small desk or coveted stash of medical supplies. 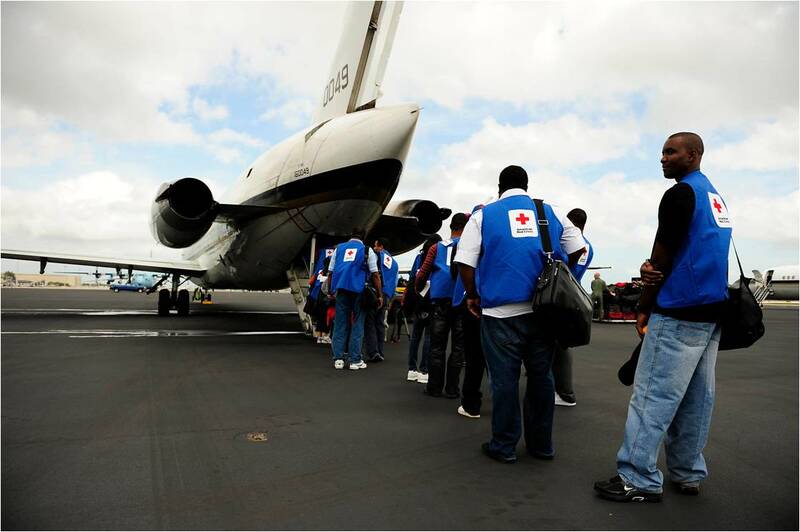 Many come with their own supplies of state of the art medical technology and toys and blankets and shoes. Most of it is very useful and appreciated by the patients. The Haitian staff seems to disappear when the volunteers arrive to see the rare and unusual patient injuries that have occurred here. There have been many surgeries and interventions that would have never occurred without the volunteers being here. External fixators and wound vacs are found throughout the hospital, and the meticulous care given to the patient’s wounds is without parallel. But this is precisely the problem. The nurses here do not have the training to change the dressings or change the wound vacs and no one is training them. There will be no physical therapy or discharge planning when the NGOs pull out for good. For all their good intentions, the volunteers seem to ‘take over’ when they arrive and then complain that the Haitian staff doesn’t seem interested. Cultural differences aside, who likes it when someone new arrives on the scene, walks in, starts to do your job and then leaves, making you feel less than adequate after witnessing such expertise. As you know, this is a touchy subject. Everyone who comes here has the best intentions, simply wanting to help. The problem is when they come, they come in groups with their own comfortable systems in place, just in a new setting. Most of the Haitian hospitals are not equipped to house or feed these additional visitors and the plumbing in Haiti already is barely serviceable. They often don’t seem to try to learn a few words of Creole, or go outside the compound to meet the Haitians and share a local meal. It probably feels like a vacation except that the food is scarce and the air-conditioning doesn’t work. The first time I went overseas to volunteer 12 years ago in South Africa, I stayed for one month and it took me almost three weeks to feel I was accepted a little by the local staff and they still did not seem keen to have me in their midst. I have been looking ever since for better ways to interact and contribute to poor people in need of basic healthcare. I believe the answer is recognizing the potential of the local people…. This entry was posted in Cultural Humility, Ethics, Global Health, Global Health Elective, Local Experts, Volunteering internationally and tagged cfhi, Cultural Humility, global health ethics, Haiti, Haiti earthquake, international volunteer, Local Experts on July 1, 2010 by Jessica Evert, MD. I had the chance to sit down with CFHI’s Medical Director, Dr. Jessica Evert, at our offices in San Francisco, just before she was honored with an award from the Global Heath Education Consortium (GHEC) at their annual conference in Cuernavaca, Mexico. Dr. Evert began her role as CFHI Medical Director in January. Her education career includes studies at Emory University, The Ohio State University College of Medicine, and the University of California at San Francisco, where she continues to serve as a clinical faculty member of the Department of Family and Community Medicine. We spoke about her introduction to Global Health, how she integrates her work as a physician in the San Francisco Bay Area with her Global Health Activities, and what attracted her to CFHI. She talks about how CFHI’s model is one that changes the dynamic by empowering local communities through actively building on their strengths in ways that lead to sustainable solutions. Please click on the links to listen to our conversation and you are invited to join the conversation through adding your comments below. This entry was posted in Cultural Humility, Ethics, Global Health, Global Health Education, Global Health Elective, Local Experts, medical electives, Rotations, Volunteering internationally and tagged cfhi, clinical rotations, Cultural Humility, empowerment, Global Health Education, global health ethics, Global Health Immersion Programs, health workforce, international health, international volunteer, Local Experts, medical electives, strengths-based on May 15, 2010 by Jessica Evert, MD. The Editors of the national newspaper, USA TODAY added a special section to the paper on April 13, 2010, devoted to how people can help and give to others in need. One full page of the section contained a list of the only charities in the United States that meet the highest requirements of the Better Business Bureau of Nonprofits. CFHI is very happy and proud, once again, to make this list. This is the third consecutive time that CFHI has made the list and we extend congratulations to all the members of the CFHI global family for this important achievement. Under the banner headline “Start With Trust” came the list of Seal Holders of the Wise Giving Alliance, a group of nonprofit organizations in the United States that meet all 20 of the best practice standards set by the Better Business Bureau for nonprofits. These are rigorous standards that cover areas like governance, effectiveness, finances, and fund-raising. CFHI has worked very hard to meet and maintain these standards. This entry was posted in Ethics, Global Health Education and tagged cfhi, global health ethics, Global Health Immersion Programs, professionalism, USA TODAY on April 21, 2010 by Jessica Evert, MD. Of course, the planning for a conference like this happens more than a year in advance so as we are gathered comfortably here in Curenavaca, Mexico, having important discussions and sharing of ideas, it is important to look back and see all that has happened along the way on the journey to Cuernavaca. Not long after the decision to have the conference, came the outbreak of H1N1 in 2009 and many questioned the wisdom of continuing with the conference plan especially with the fear that a repeat flu outbreak could happen in early 2010. More fundamentally, the intention of this conference –different, I think, from other South-South conferences– is to have the South participants truly take the lead. “The idea from the beginning was that the North participants are the guests and are primarily coming to learn” said Karen Lam, the Global Health Education Consortium (GHEC) Program Manager. With its almost 20 year history and strong following, GHEC has been able to bring the numbers that frankly support the undertaking of a major conference like this and make it financially feasible. The back story is all the effort to truly make it a success. GHEC has partnered with the Instutio Nacional de Salud Publica (INSP) here in Cuernavaca. INSP is the conference venue and has been a great host for this event. Both INSP and GHEC are to be highly commended for all the hard work to bring this event to a reality and in such a successful way! “The vast majority of the presentations are by and from the perspective of the South participants,” Lam pointed out. Sessions are covering everything from Ethics and Equity Issues, to Global Health Diplomacy, to Public Policy, and Social Determinants of Health. It is encouraging to see so many Mexican, Caribbean, and South American students able to be a part of this conference and to see the work of the collaborations of their fellow students and teachers so prominently featured. So far the sharing and exchange of ideas is stimulating and leaves one hopeful for all the collaborations that will now have their beginnings here in Cuernavaca. This entry was posted in Ethics, Global Health, Global Health Education, Local Experts and tagged cfhi, GHEC, Global Health, Global Health Education, global health ethics, INSP, international health, Local Experts, Mexico on April 10, 2010 by Jessica Evert, MD. CFHI is proud to announce the donation of a Macbook computer to one of our partner sites in Oaxaca, Mexico– the teaching department of Hospital Civil. The donation to the subdireccion de ensenanza department came after the hospital requested this equipment from CFHI as a useful tool in improving operations there. The replacement for the manual typewriter, also in the picture, is a welcome addition to this very busy facility. The computer will serve in many capacities including logging various activities occurring within the department and in managing the coordination of medical residents working at Hospital Civil. 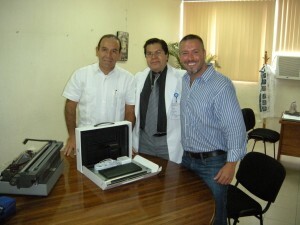 In the photo above from left to right: CFHI Oaxaca Medical Director Dr. Tenorio, Dr. Gabriel Augustin Velasco, the head of Hospital Civil’s teaching department, and CFHI Program Manager Nick Penco, alongside the new computer. CFHI would like to thank the participants of our Global health Education programs as well as support from our donors in making such contributions possible. Hospital Civil is an outstanding facility with a dedicated staff. CFHI has enjoyed a long relationship with this excellent teaching hospital. This municipal facility is an anchor of the community and has seen everything from the increase of chronic diseases, to the fallout of civil unrest. And Oaxaca was one of the initial detection points of the Novel H1N1 Virus this past year. We commend them on their quick and professional response to what was an unknown crisis. The quality of their work has helped to blaze the trail for everyone working to treat and stop this pandemic. 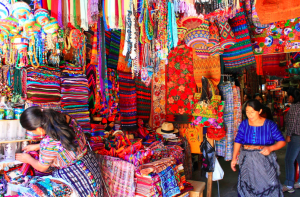 This entry was posted in Global Health, Global Health Education, Local Experts, medical electives, Rotations and tagged Global Health, Global Health Education, global health ethics, Local Experts, Mexico on October 5, 2009 by Jessica Evert, MD. 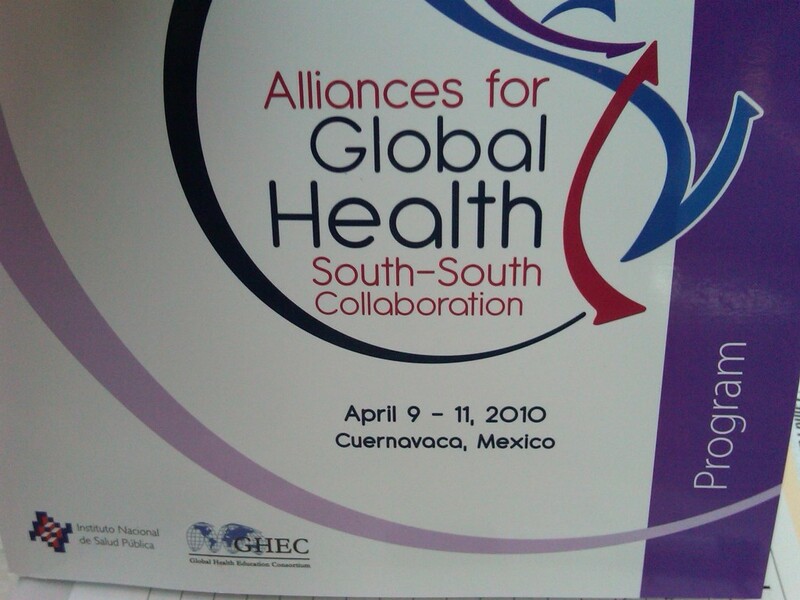 Alliances for Global Health Education: Learning from South-South Collaboration, has been announced as the theme for an upcoming conference to be held April 9-11, 2010, in Cuernavaca, Mexico. The joint collaboration represents the 19th annual conference on Global Health Issues for the Global Health Education Consortium (GHEC), based in the United States and the 1st Latin American and Caribbean Conference on Global Health hosted by the Instituto Nacional de Salud Publica (INSP), based in Mexico. A White Paper and call for abstracts can be found on the GHEC website here. This entry was posted in Cultural Humility, Ethics, Global Health, Global Health Education, Local Experts and tagged brain drain, GHEC, Global Health, Global Health Education, global health ethics, international health, Local Experts on September 26, 2009 by Jessica Evert, MD. Just What Global Health Needs … Geometry! As Dr. Calvin Wilson began his plenary presentation at the Sixth Annual Family Medicine Global Health Workshop in Denver earlier this month, he said to the audience of physicians, “Now class today we’re going to learn geometry.” As he began talking about the vertical approach, and the horizontal approach, Dr Wilson was joking but he was also making a point. As disparities related to health continue to be significant and much more is needed to be accomplished in order to achieve the Millennium Development Goals set by the United Nations, it is clear that a different approach is needed to address global health issues. Dr. Wilson, an associate professor of family medicine at the University of Colorado School of Medicine, and the director of the Center for Global Health of the Colorado School of Public Health, was attempting to deal with a controversial issue in global health today: the debate between vertical and horizontal funding of health initiatives. The vertical initiatives are programs that address a single area of focus, such as a disease like HIV/AIDS, or malaria. The horizontal initiatives are programs that attempt to improve aspects of the health care system in an area or a country. Dr. Wilson gave a careful and balanced approach to this issue and pointed out pluses and minuses to both sides. 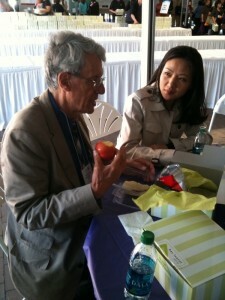 His presentation can be found through the website of the American Academy of Family Physicians. It is unfortunate that this debate has gone on for so long and that there is still no clear resolution to it. Perhaps two next steps are helpful in this process. Cease the Competition: It is sad that any debate has developed regarding this issue at all. Even more counterproductive is that at times there seems to be a competitive nature to the debate from one side or another. From the grassroots perspective, it is often obvious that these approaches are much more in concert with each other rather than in competition. Resources are needed for programs that implement specific treatments and for specific prevention methods but these programs are usually only as good as the infrastructure available to make things happen on the ground. The reality is that vertical strategies will, at some point, need to hit the ground and their implementation will involve: public health education, vaccination, or training to increase the competencies of treating healthcare workers. To utilize the existing infrastructure, no matter how lacking it might be, is preferable to starting from scratch or to creating parallel infrastructures. Building on the existing infrastructure allows the lessons of past implementation experiences to inform the future and, if done well, allows for culturally appropriate adaptations to be made for each setting that can improve the effectiveness of any implementation, while reducing the potential for inflicting unintended harm. In most resource-poor settings, when you bring in relatively small amounts of cash, you can make many things happen. Unfortunately when you pull out the cash, it often has the effect of inhibiting the local input. A workable Construct: While there has been a lot of talk about the need for a more balanced approach, there has not been a lot of action. It is hard to move forward without a method of implementation. Since we are talking about a very broad spectrum of health initiatives, it is unrealistic, and frankly not very helpful to propose anything that is too specific. One option has been proposed that appears very promising. 15 by 2015 is an initiative proposed by a partnership of the World Organization of Family Doctors (WONCA), Global Health through Education, Training and Service (GHETS), and the European Forum for Primary Care (EFPC). In an article published in the British Journal of General Practice in January, 2008, they make their proposal, “We propose that by 2015, 15% of the budgets of vertical disease-oriented programmes be invested in strengthening well-coordinated, integrated local primary healthcare systems and that this percentage would increase over time. 15 By 2015 is a very helpful construct. It raises the awareness of the need for both vertical and horizontal approaches that complement each other and creates a simple framework that allows customization as needed. The 15% threshold is not meant to be the highest possible for the horizontal component but it is a conservative number that can surely be an agreed upon minimum. In this way, new initiatives can build on the existing knowledge and experience, and leave the community with an incrementally improved infrastructure. In his address to the Global Health Workshop in Denver, Dr. Wilson used some different language. Instead of consistently using “vertical” and “horizontal,” he used the terms disease focus approach and integrated systems approach. These are terms that seem to fit more logically to the conversation. Perhaps these terms can be seen to be more obviously collaborative than their geometric versions and help us bridge the gap by taking the shortest distance between these two points that should not be divergent at all. This entry was posted in Ethics, Global Health, Global Health Education and tagged Global Health, Global Health Education, global health ethics, health workforce, international health, primary health care on September 20, 2009 by Jessica Evert, MD. WHO Director-General, Margaret Chan, called for greater equity in health to be considered as part of how we measure progress as a global community. “Greater equity in the health status of populations, within and between countries, should be regarded as a key measure of how we, as a civilized society, are making progress,” Dr. Chan said speaking at UN Headquarters in New York. At the very least, we should all recognize that Dr Chan has a perspective that almost no one else shares. In her role as Director-General, she has been very active in discovering and learning as much as she can from all corners of the world. So when she stands before the world’s ambassadors and says, “The world is in such a great big mess,” it is the considered opinion of the world’s doctor. Of course she was trying to speak in a way that cuts through ceremony and can be easily understood by all. She went on to give more of her considered opinion, “Pandemic influenza, for example, will hit hardest in developing countries, which have large vulnerable populations. With their weak health systems, these struggling countries will take longer to recover. In many ways, developing countries facing the pandemic are virtually empty-handed,” said Dr Chan. At the Global Health Council conference in Washington, DC, in June of 2008, on Primary Health Care, a discussion involving Dr. Chan at a public session included the notion of conducting a health systems impact study when any significant funding is allocated. Typically large amounts of funding from governments, world bodies or foundations focus on a particular disease or health issue. Too often, in the heroic attempt to eradicate a menacing problem, the impact on, or even the essential contribution of the existing health system and the health workforce are considered only tangentially or perhaps not at all. The analogy was to an environmental impact report that is often required before any large-scale building or infrastructure projects are conducted. While environmental impact reports have their own problems, the notion of considering all aspects of the health system in a community or a country can be an important way to find the strengths and successes that will be critical to the success of new efforts. Building on the local strengths and knowledge of a community and allowing a new idea to be informed by the local cultural wisdom can go a long way to achieving greater equity, including Primary Health Care in the process, and ultimately more efficient progress. This entry was posted in Cultural Humility, Ethics, Global Health, Local Experts and tagged GHC, Global Health, global health ethics, margaret chan, primary health care, WHO on September 6, 2009 by Jessica Evert, MD.